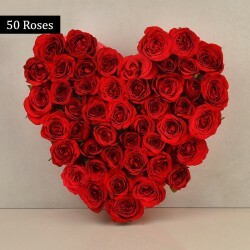 Send Valentine Flowers to Bangalore since flowers are the gifts that feel good. Choose from a diversity of flowers like roses, lilies, gerberas, carnations, tulips, orchids, mixed flowers and others. MyFlowerTree has all the kinds and colors of Valentine Flowers. 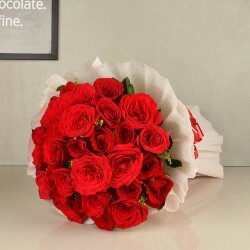 Want to Send Valentine Flowers To Bangalore Online? You Are At The Right Place! Flowers are an evergreen gift that can convey your truest emotions for your loved ones on every special occasion and Valentine’s Day is no exception. It’s the day when people show their love for that someone special in the life with gifts like greeting cards, chocolates, candlelight dinners etc. But, no matter what, there is no gift like flowers that can epitomize your love for your beloved. So, if you are looking for the best way to surprise your lover, who resides in Bangalore, on Valentine’s Day then, get a bouquet of beautiful Valentine flowers to her doorstep on the same day. 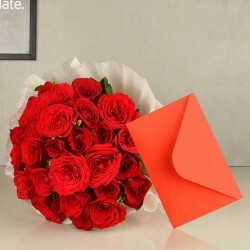 Now, sending Valentine flowers to Bangalore online is just a matter of few clicks. Just visit our website @ www.myflowertree.com, choose a bouquet as per your preference that you want to dedicate to your beloved, and place your order from the comfort of your house. Our gorgeous floral arrangements comprised of romantic roses, exotic orchids, charming carnations, cheerful gerbera daisies, and heavenly lilies are sure to make everything romantic on Valentine’s Day. 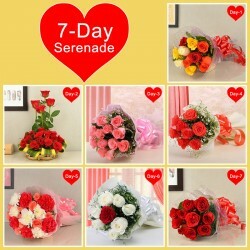 All these Valentine flower arrangements are available in different hues including red, white, yellow, pink, etc. We have various types of flower arrangements like heart-shaped bouquets, basket-arrangements, flowers in a box arrangements, and so on to make your Valentine’s Day a romantic affair. 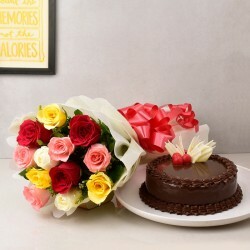 Other than just Valentine flowers, we offer Valentine cake delivery in Bangalore via which you can also send a delicious cake for your beloved on February 14th and infuse sweetness in your relationship. Not all relationships weaken with distance. Some become stronger if nurtured in the right way. And, when you live miles apart from your better half or your lover, flowers help in strengthening your bond with your partner. So, if your someone special puts up in Bangalore away from you then, surprise him or her on February 14th by availing our Valentine flower delivery in Bangalore. 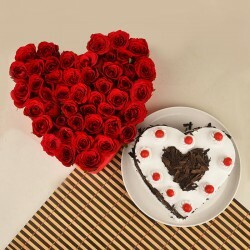 So, now send Valentine flowers to Bangalore from MyFlowerTree and show your love for your beloved. To add more value to your Valentine gift, you can club a bunch of Valentine flower bouquet with a thoughtful gift from us. We have an exciting collection of Valentine gifts like mugs, cushions, chocolates, teddy bears, cakes etc. For more gifting options, you can opt for our our Valentine gifts delivery in Bangalore. We Deliver Love On The Same Day: Send Valentine Flowers To Bangalore Now! So what if you can’t manage to visit your beloved in Bangalore on Valentine’s Day? We have got your back. 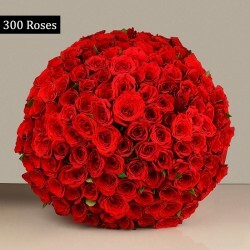 MyFlowerTree is one of the best online florists in India that provides same-day delivery of Valentine flowers to Bangalore and in many other cities of India. 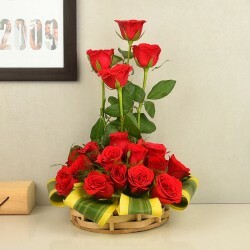 You can not only send Valentine flowers to Bangalore with us but abroad as well. For example,you can send Valentine flowers to countries like USA, UK, UAE, Sweden, Canada, Australia, Malaysia etc. 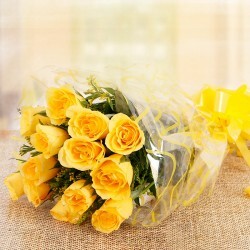 So, experience the fastest flower delivery in Bangalore by MyFlowerTree. Products in this category have been rated 4.9 out of 5 based on 129 reviews.